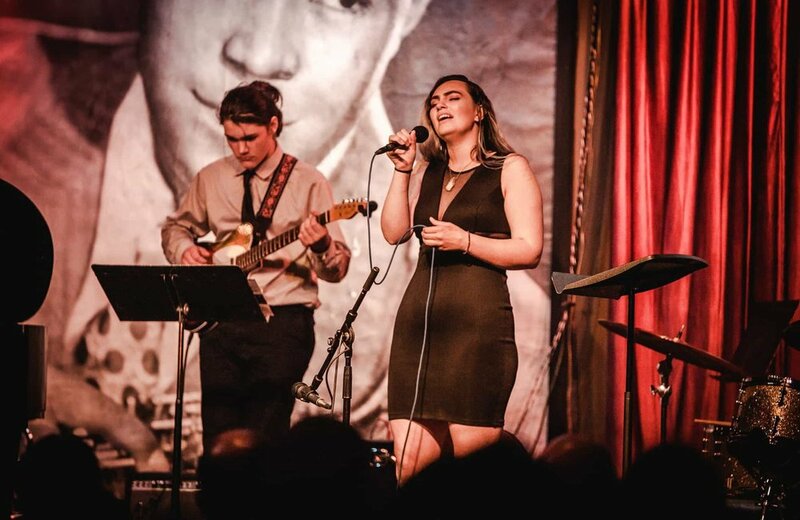 The Academy experience consists of three critically important components: rigorous academic study and professional arts training, in the context of a world-class school culture, all overlapping to form our “educational model”. Since its inception in 1981, The Academy has provided a home to serious young artists inspired to test the limits of their potential. Our students are immersed in 3-5 hours of daily arts training in one of six disciplines: Dance, Media Arts (filmmaking, animation, and writing), Music, Musical Theatre, Theatre, and Visual Arts. Academy alums attend the best arts colleges, universities, and conservatories, from USC and CalArts to NYU and Juilliard, and everywhere in between. (They are often supported financially by their schools as well: the 39 seniors in the Class of 2018 were awarded nearly $10 million in college scholarships.) 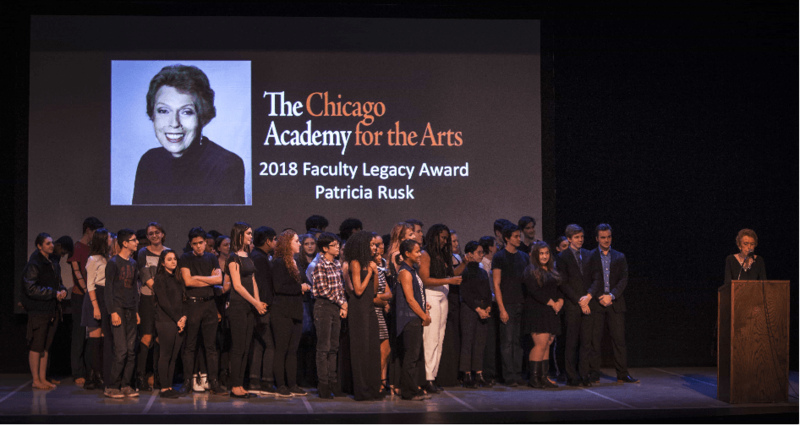 Alums include Grammy winners, Broadway stars, principal dancers, award-winning filmmakers, critically acclaimed artists, and many hundreds of other successful arts professionals. While The Academy is famous for its arts programs, our academic coursework is just as powerful. Students engage deeply in courses designed to develop critical thinking skills across a broad array of subjects, including Women’s Literature, AP Computer Science, Global Affairs, Business and the Arts, World Religions, AP Statistics, Philosophy, and many more. Realizing that their Academy education opens a variety of doors for them beyond high school, nearly 1/3 of Academy alums pursue non-arts paths after graduation, from business to physics to computer science and everything in between. Alums include entrepreneurs, attorneys, PhD’s, physicists, and other professionals in a wide variety of careers. We often say that there is nothing more important here than our community. Academy students and faculty alike are characterized by their passion, sense of purpose, and pursuit of excellence, and thus everyone at The Academy is deeply invested in being here. (In fact, for decades the most common word used to describe The Academy is “home”.) It is a special privilege to be surrounded, every day, by peers and mentors who have made the decision to be a part of this place. In fact, our students are never at The Academy, they are The Academy, and that identity eliminates so much of what is typically negative about the high school experience. For decades, The Academy has hosted visitors from all over the world hoping to learn how we do what we do, and we have often found that it’s difficult to describe. The Academy experience is deeply influenced by a variety of factors, including the legacies left by generations of students, teachers, and administrators (and at a small school, everyone has an impact on the culture), the non-arts lessons inherent in learning how to make great art, and the fact that everyone in this community really wants to be here. Each year, we revisit a list of statements we informally call “The Academy Method”—things we believe are critically important to the Academy experience. It is not a complete list, but rather some of the most important reminders about how we do what we do. Academic study and arts training are co-curricular. Neither is more, or less, important than the other, but the authentic, disciplined immersion in each (separately) creates a powerful reciprocal relationship between the two. Environment matters. Nearly four decades ago, The Academy’s first students built a community that was safe, inclusive, welcoming, and supportive — a community where students were united by their common sense of purpose, passion, and pursuit of excellence. In the decades since, one of our primary goals has been to protect that culture, and as a result, our students truly want to be here. Hire experts, and give them the authority and autonomy to be the experts. We believe that placing decision-making as close to the classroom as possible dramatically increases the teacher’s ability to create transformative experiences for their students. Our teachers’ abilities to change students’ lives are not compromised by geographically (and philosophically) distant administrators, or powerful standardized testing corporations. Cultivate relationships. No one is anonymous at The Academy, partly because we are a small school, and partly because we value the potential for mentorship and human relationships at every level: from upperclassmen to lowerclassmen, from teachers to students, and across all levels of the staff and administration. Community matters. Cultivate individual responsibility. A small school does not need to create long lists of rules to prescribe and control every element of a student’s behavior. While we of course have policies and rules, one theme guides student behavior more than anything else: At all times, work hard to be sensitive enough to your environment to know what the right thing to do is. Then, do that thing. Process matters. So does the product. We expect our students to work incredibly hard, seek and embrace the discomfort of receiving and integrating critical feedback, and get excellent results.